Each day and each outfit I choose, presents a dilemma of “How do I want to accessorize this outfit? and what are the best ways to accessorize this outfit without going overboard?” At the same time, I also want my personality and/or mood to be reflected. We all know that Kate likes to hand pick her wardrobe, we can only assume that she is just as involved with her accessories. Although Kate is more understated in her accessory choices (as the future Queen Consort) , she has pushed the boundaries with statement jewelry on a few occasions such as the Royal Film Performance of Mandela: Walk to Freedom, to the Cartier necklace she borrowed from The Queen for a fundraising event at the National Portrait Gallery in in early 2014. So how do you choose the perfect accessory to compliment your outfit? Wear a few well-chosen accessories at a time. A lot of people make the mistake of piling on ALL their accessories they own at once (I have been guilty of that as well). When it comes to accessories, less is usually more. If you’re wearing jewelry, a watch, a scarf, a hat and sunglasses, no one piece will stand out, and your outfit will end up looking cluttered. Choose a few accessories that accent your outfit or highlight the feature you want to play up. 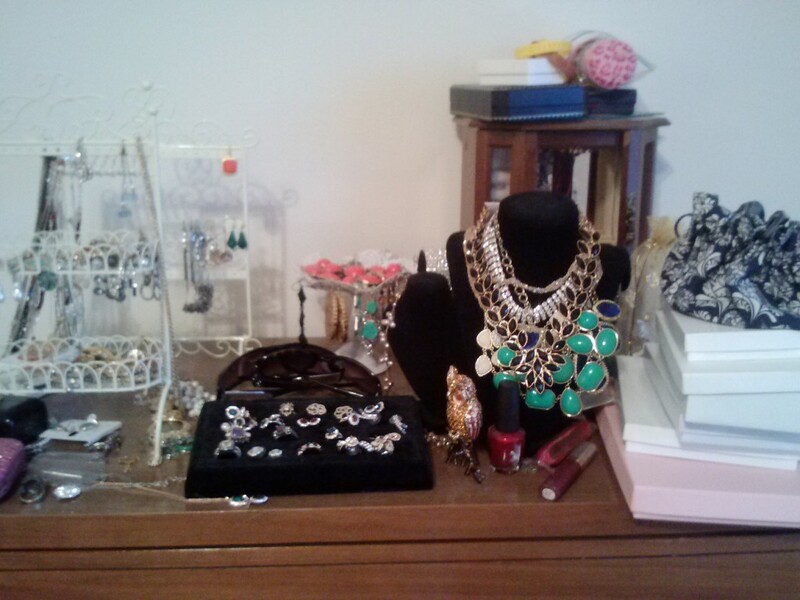 Wearing a full jewelry getup, complete with earrings, necklaces, bracelets, and rings, can overwhelm your look. Try wearing either earrings or a necklace instead of both. 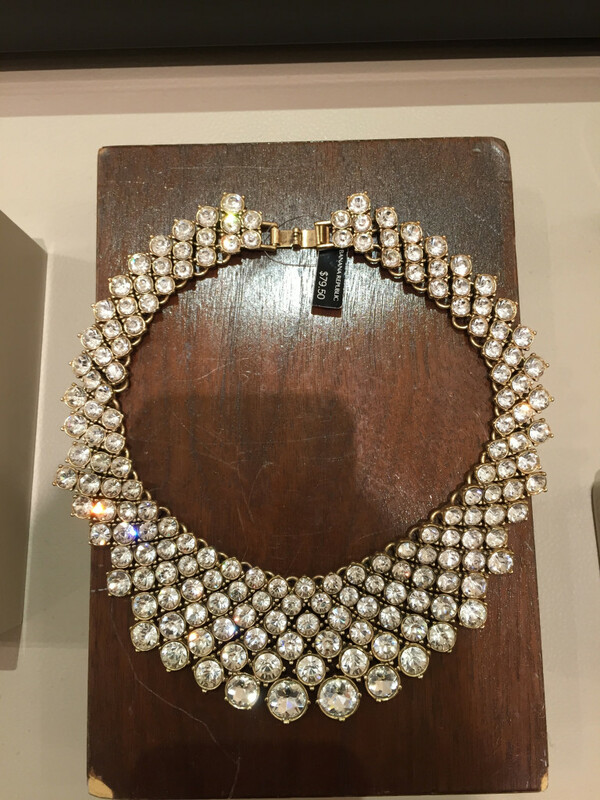 My rule of thumb is if I wear a statement necklace, than my earrings will be simple. If I wear statement earrings , then I usually pass on a necklace, and MAYBE add a simple bracelet to balance out the look. If you do wear a lot of different accessories, make sure they aren’t competing for attention. Match your metals and colors so that your accessories look like they were chosen with intention. For example, you could wear big gold hoops, a colorful warm-toned scarf, and a gold watch for a streamlined look. Kate is always sure to make her statement necklace the center of attention, choosing solid dresses (as opposed to prints) to draw attention to the accessory. Pair bold accessories with understated clothes. Neutral clothing can be completely transformed when you add a few bold accessories. If your wardrobe has a lot of neutrals like black, white, beige, olive or navy, accessorizing gives you a chance to play with fun colors and give your outfits a boost. Pair a thin red or hot pink belt with a black or navy dress. Wear a splashy orange or yellow scarf or shoes with khaki or olive-colored clothing. Freshen up your white blouse with a multicolored statement necklace or big chandelier earrings. Kate managed to follow this fashion rule by pairing a green silk ‘Maja” dress by Diane Von Furstenberg (DVF), the “Lytton” leopard print clutch bag, and black Prada heels for a polished, yet bold look. Avoid being too matchy. It might be tempting to play off the blue polka dots in your dress with matching blue earrings, a blue necklace and blue shoes. However, matching to this extent can sometimes look a little old-fashioned or childish. Throwing some unexpected, yet surprisingly perfect accessories into the mix shows off your creativity and adds interest to the outfit. Use the color wheel to help you come up with interesting color combinations that accent each other beautifully. For example, if you’re wearing a purple shirt, try adding something mustard or lemon-colored to your outfit instead of hunting down the same shade of purple. Since yellow is opposite purple on the color wheel, your outfit will be appealing to the eye. Wear colors with black and white. If you’re wearing a black and white flowered top, then you could pop in an electric blue medium sized beaded necklace and some cute blue earrings. 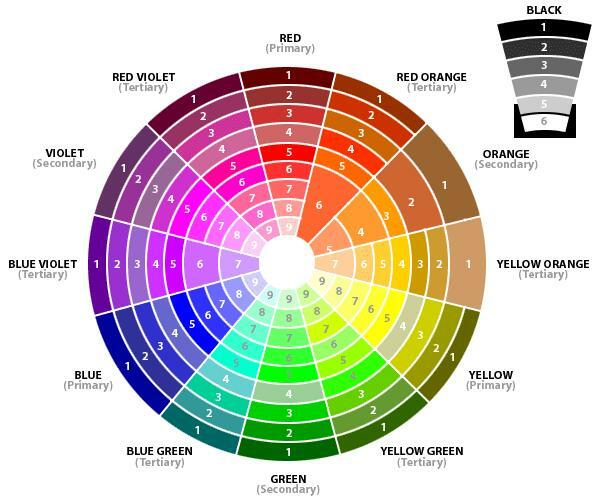 So WHAT is the color wheel? You’ll find there are a TON of different options/color schemes out there and will be mixing and matching in no time! So get out there and start accessorizing!!!! Pippa has been known to be a little bolder with her color contrasting (one of the perks of NOT being the future Queen Consort) and uses this styling well and often. What are your favorite ways to wear your favorite statement accessories?